New Turning Point Homeowner inspires others! You wouldn’t think a non-celebrity chef would inspire others. Callie Chappell is no ordinary chef. Local pastor John Gruel, who will officiate during a 3 p.m. Sunday dedication ceremony at Callie’s new home in Turning Point’s Legacy Station, 409 Victory Road, said he’s honored to be associated with the faith-based organization. “I think she’s overcome a lot of obstacles and has a plan for a productive future,” Gruel said. In her childhood, Callie was diagnosed with retinitis pigmentosa, an eye disease in which there is damage to the retina, the layer of tissue at the back of the inner eye that converts light images to nerve signals and sends them to the brain. Symptoms often first appear in childhood, but severe vision problems do not usually develop until early adulthood, according to PubMed Health, the National Library of Medicine. Symptoms include decreased vision at night or in low light, loss of peripheral vision and loss of central vision in advanced cases. A lifelong Edmond resident, Callie is a graduate of Santa Fe High School where she told only her teachers and close friends about her poor vision. While she was in high school, Callie was also a student at Francis Tuttle Technology Center in Oklahoma City. After she graduated from Santa Fe and Francis Tuttle in 2007, she felt more accepted and began walking with a cane. 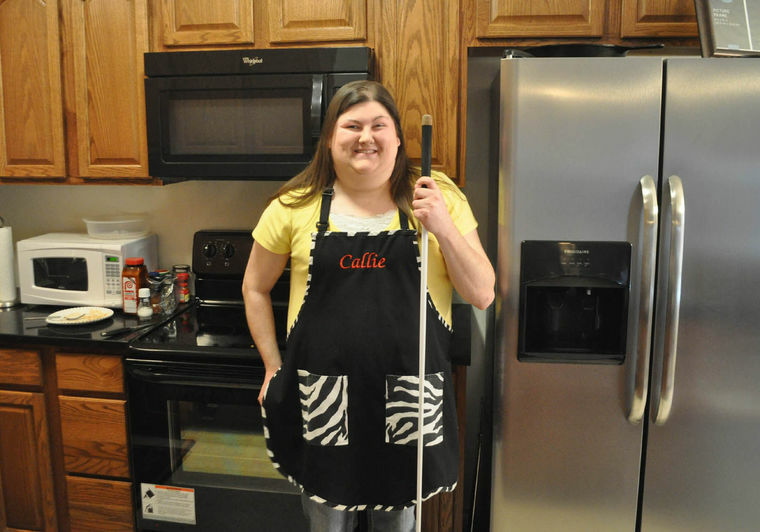 Callie’s career path was uncertain until she was accepted by the Louisiana Center for the Blind in 2012. The center provides residential orientation and adjustment training to legally blind adults. During her nine months there, Callie cooked a couple hours each day. Callie enrolled in Francis Tuttle’s School of Culinary Arts, which led to an internship with Edmond’s Inspirations Tea Room. Callie said she has learned a lot from the experience, which has affirmed her desire to be a chef. Meanwhile, she was on a path toward owning her first home. In 2012, the average sales price for an existing home in Edmond was $249,878, according to Turning Point. It costs the organization about $100,000, which includes land and infrastructure, to build an average three-bedroom home. With the help of a Federal Housing Administration grant obtained through the city, Turning Point has been developing neglected properties into Legacy Station, a 12-lot residential community located directly west of the downtown post office. The brick, multi-bedroom 800-1,200-square-foot homes have a single-car garage, full foam insulation and geothermal heat and air. Turner said Chappell’s home has been designed to meet her needs. Features include more working space in the kitchen and an interior tornado shelter/safe room. Callie said she is very thankful both to Turning Point and all those who helped make her dream of owning a home come true. On March 14, she closed on the home and she moved in on Monday. She cooked chili for her parents and others who were there. Past new homeowners thanks to Turning Point include a woman whose home was destroyed by a tornado, a public school teacher who is the single mother of four, a widowed grandmother who is helping raise a hearing-impaired grandson and a family of four who had been previously unable to buy a home. Depending on donations, Turning Point’s goal is to build six homes a year. Turner said by the end of this year, the all-volunteer organization hopes to have new homes standing on the two remaining Legacy Station properties. Heritage Village — a new Turning Point addition being developed west of Fretz about a quarter of a mile north of Edmond Road — will have 37 homes, Turner said. 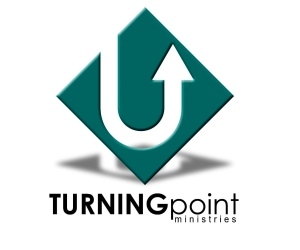 Turning Point partners include volunteers, the city, churches, businesses, service clubs and foundations. 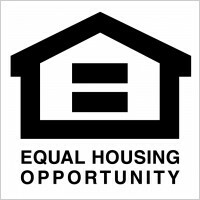 For more information about how to apply for home ownership through Turning Point, how to make a donation or to volunteer, visit turningpointoklahoma.com. ← Legacy Station Youth Honored!